Sin harms our relationship with God and damages our communion with the Church. Conversion of heart is the beginning of our journey back to God. The Sacrament of Reconciliation, with God’s grace, is the means through which we begin our conversion from sin, and a turn towards God, thereby restoring our relationship with God and our communion with the Church. 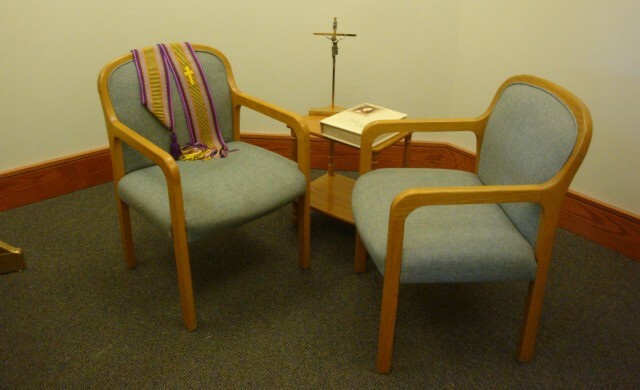 The Sacrament of Reconciliation is celebrated every Saturday from 11:00 am to 12:00 pm.